I am plain, pure nickel and colour. I love to turn it up, while others turn it down. I am your go to riff machine. 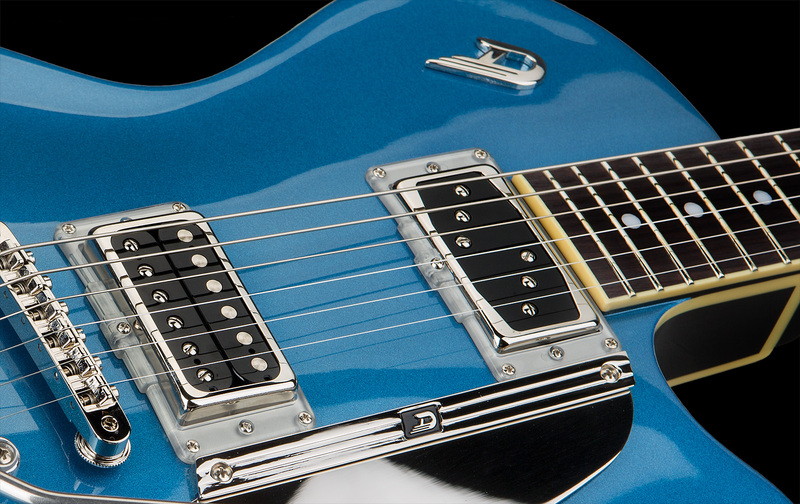 The Starplayer TV Streamline is a semi hollow, dual pickup, 22 fret electric guitar, featuring arched top and back, bent sides and a 647mm scale. For this version, we omitted the F-Hole, creating a reduced and plain design for the top. Following the tradition of former German luthiers, we selected Spruce as our choice wood for the top. 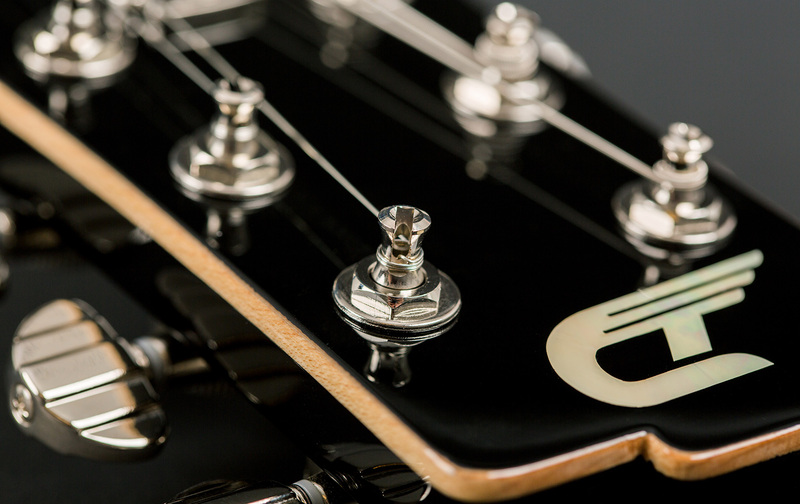 When you turn the guitar around, you will see that we chose flamed maple for the back and sides, which slightly shimmers through the translucent black burst finish. 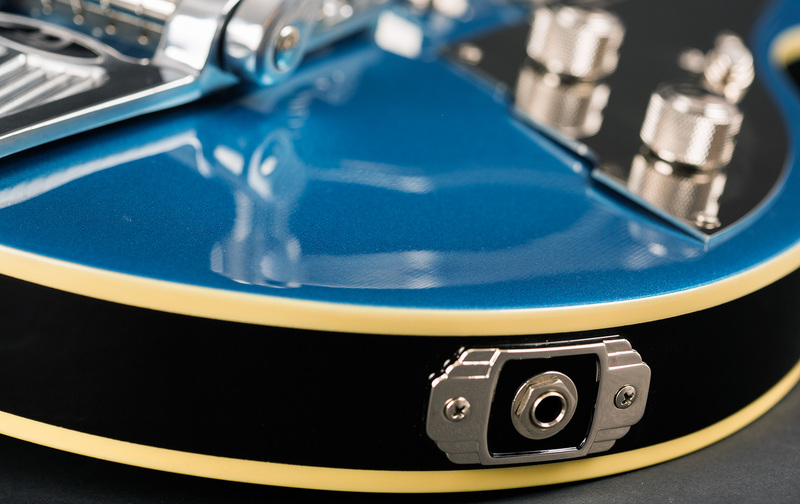 The Streamline features a unique pickup combination pairing our classic GrandVintage Humbucker for the bridge with a noise-cancelling SingleTwin Domino pickup for those who like to turn it up. The Streamline features the aluminuim version of our Radiator Tremolo which will definitely turn heads and provide you with all the modern features our Tremolo systems are known for. 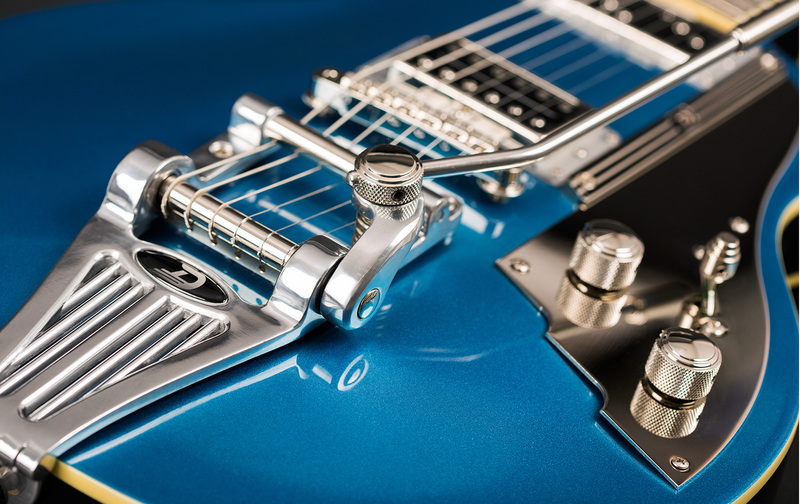 The Starplayer TV Streamline is the only Duesenberg instrument sporting our new silver pickup rings and is available in a beautiful metallic Catalina Blue.